The Dollar Tree is a land of undiscovered treasure. My latest discovery are these pretty pastel eggs. The colors are just perfect for spring and the color palette I’m going for this year. 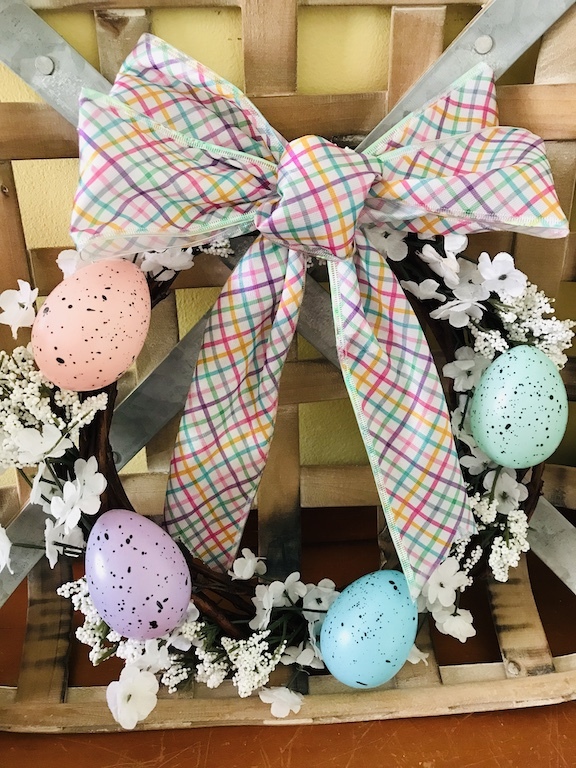 With just a few supplies you can make this simple mini egg wreath from the Dollar Tree. Look at the cutest ribbon, I found there to. 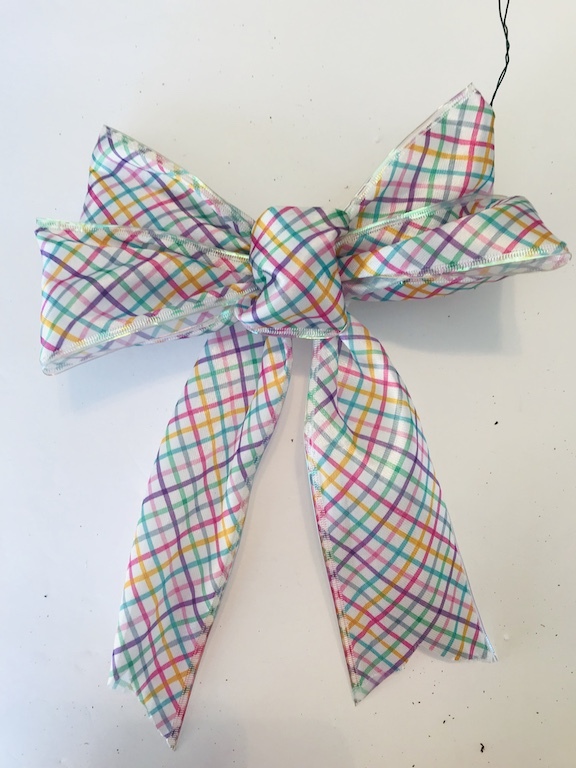 I just love plaid ribbon of any kind. 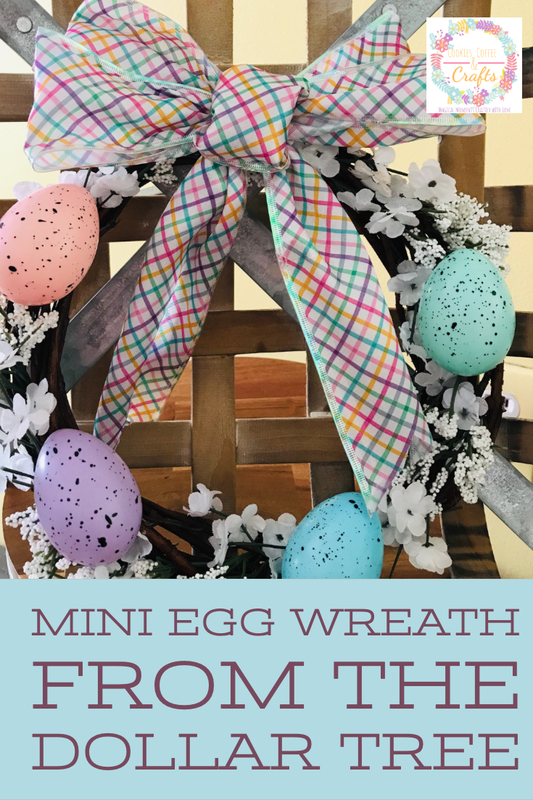 This mini egg wreath can have so many uses. 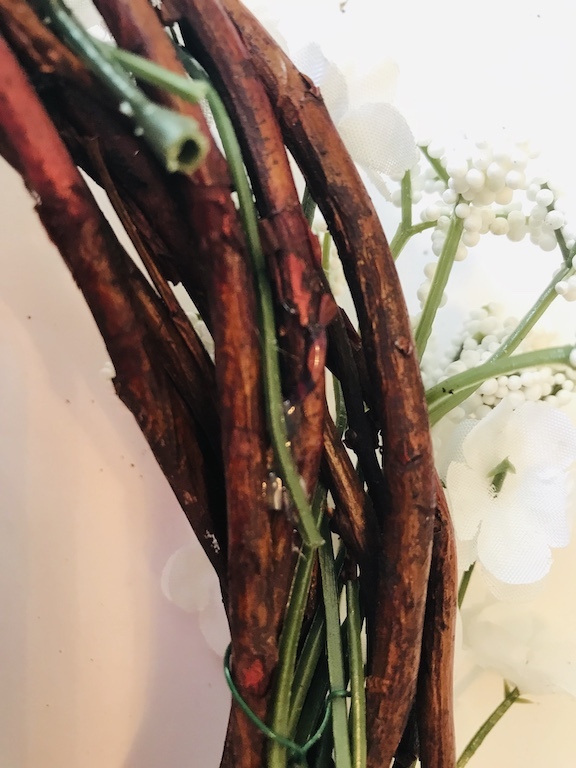 It would look right at home hanging on a door or cabinet, sitting on a shelf, or hanging on a chair as a decoration for each placing setting for Easter dinner or it would make a great addition to a centerpiece. As usual with this simple project, the possibilities are endless, just imagine where it would work in your home. 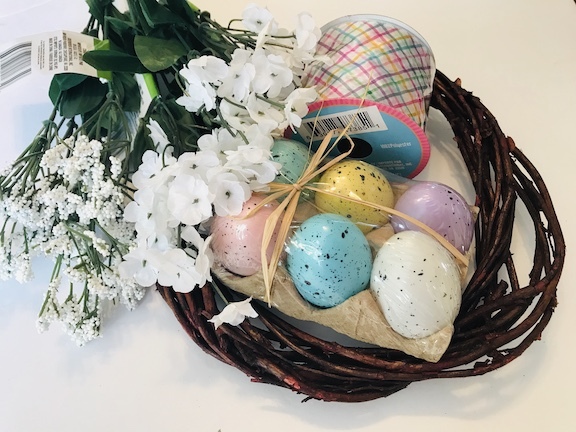 To get started choose how you want to place the eggs and florals or maybe just create the wreath with the eggs. I decided I loved the look of the white florals all around the wreath. To get the florals to stay in place use wire or hot glue. 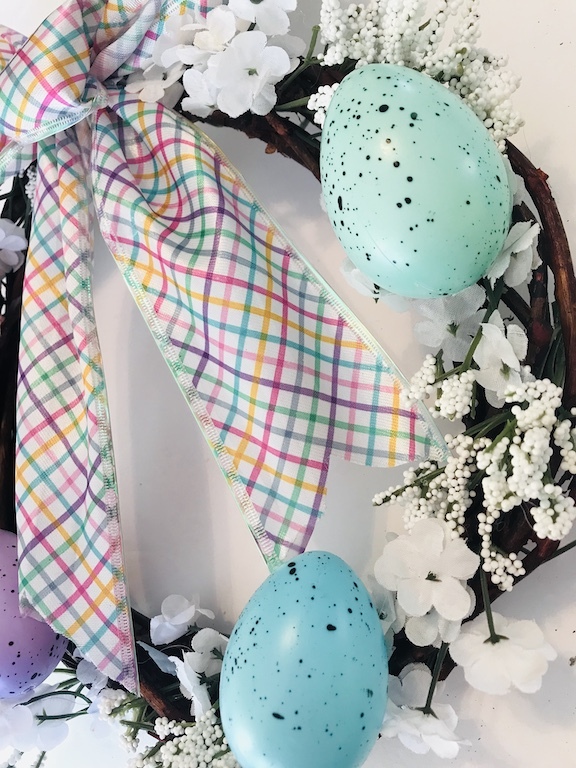 Once I had the florals all around the wreath, I added in the eggs. 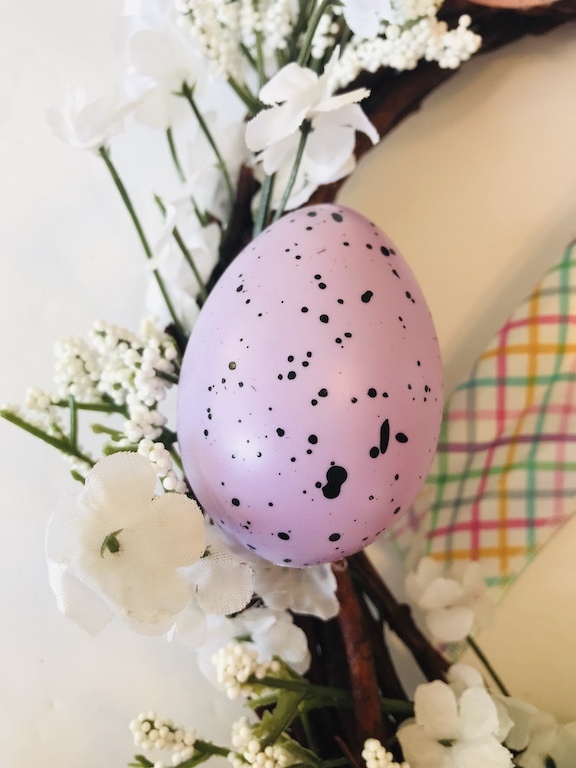 These speckled eggs are so pretty and the look at this purple. Purple is my favorite color so I had to share it. I created the bow with my new crafting tool, the Bowdabra. 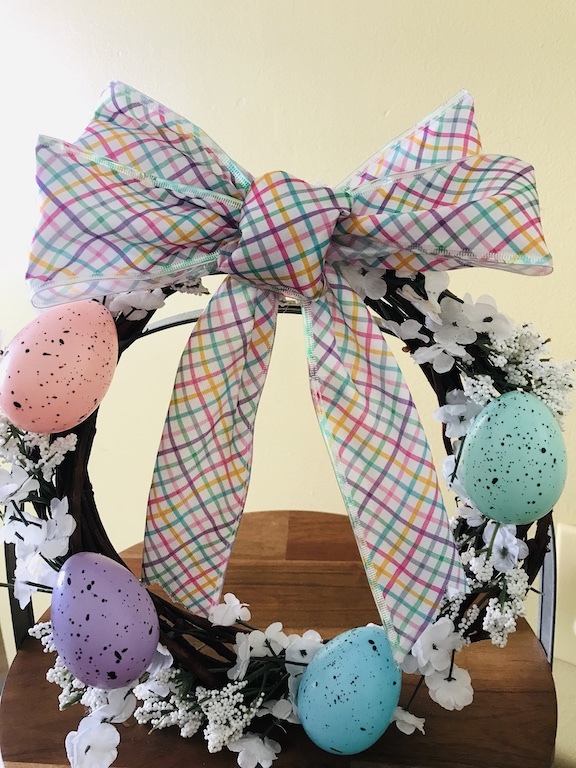 It came out great and the colors of the ribbon and the eggs match perfectly. 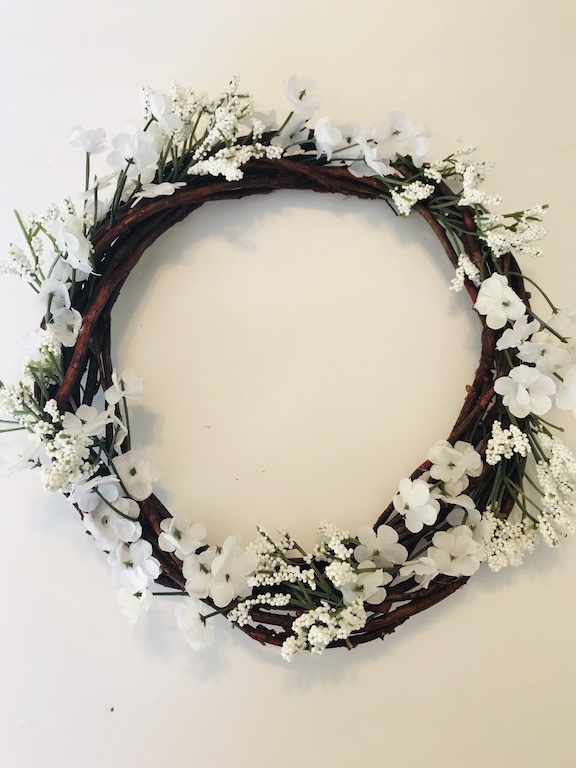 Attach the bow to the wreath with floral wire. I love a quick craft! You can’t beat the price or the time to make this. 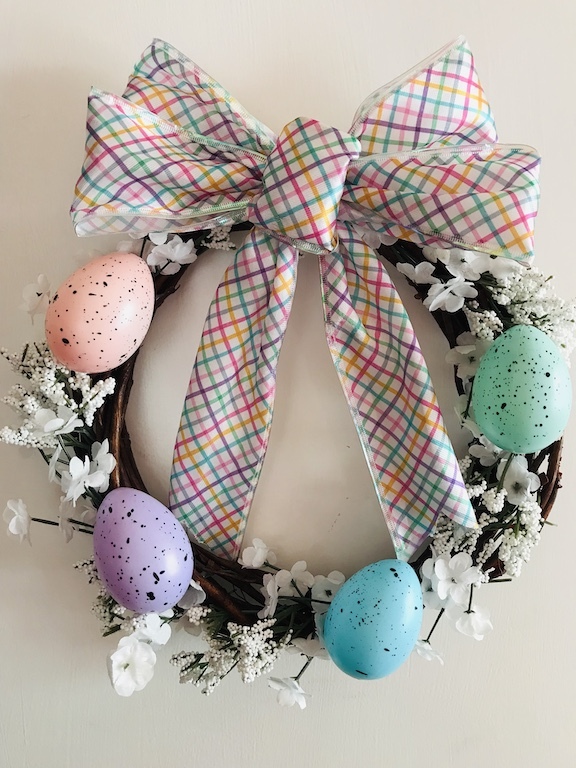 I’m in love with the colors of the eggs and the ribbon. Pastels and neutral tones are my favorite for Easter. The wreath looks so pretty sitting in my farmhouse basket. Here it is hanging on a door. It would also looks great on top of an egg centerpiece or another creative idea is to hang it on the back of the chairs for Easter dinner. 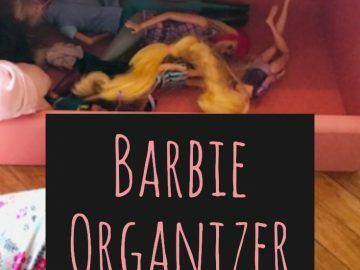 Have you found any treasures at the Dollar Tree?